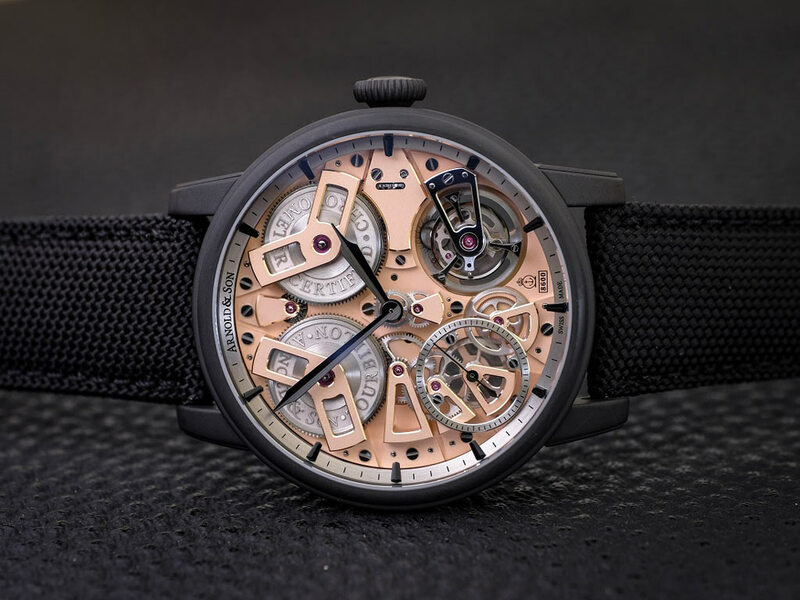 The latest edition of the Tourbillon Chronometer No.36 from Arnold & Son is characterized by the rose gold tones of the movement and the dark grey gunmetal coating of the case. 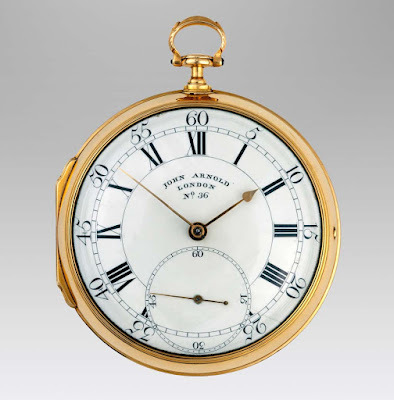 A tribute to the Chronometer No. 1/36, the first pocket watch by John Arnold to be referred to as a "chronometer" for its superior timekeeping capabilities, this model has symmetry and skeletonization as its key traits. 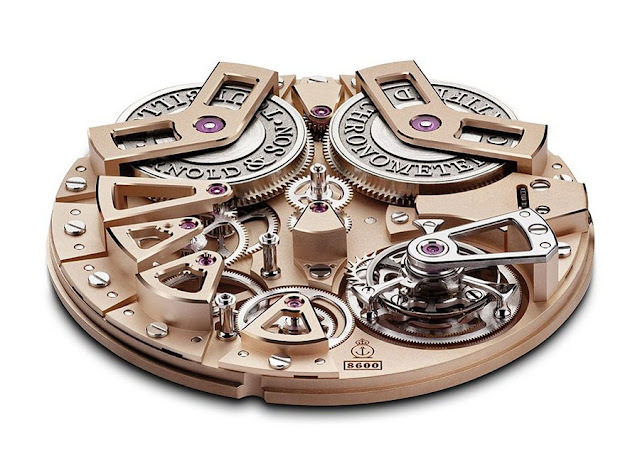 The main pivoting elements such as the wheels, barrels, the tourbillon, and others are each mounted on their own bridge, a typical feature of traditional English chronometer movements. The one-minute tourbillon, a central element of this timepiece takes the main spot: held by a skeletonized and mirror-polished top bridge, it features a typically Arnold & Son three-spoke design. Weighing mere fractions of a gram, its cage consists of no less than 58 components. Prominently positioned on the dial side, the tourbillon can also be viewed from the back, thanks to an opening in the main plate. 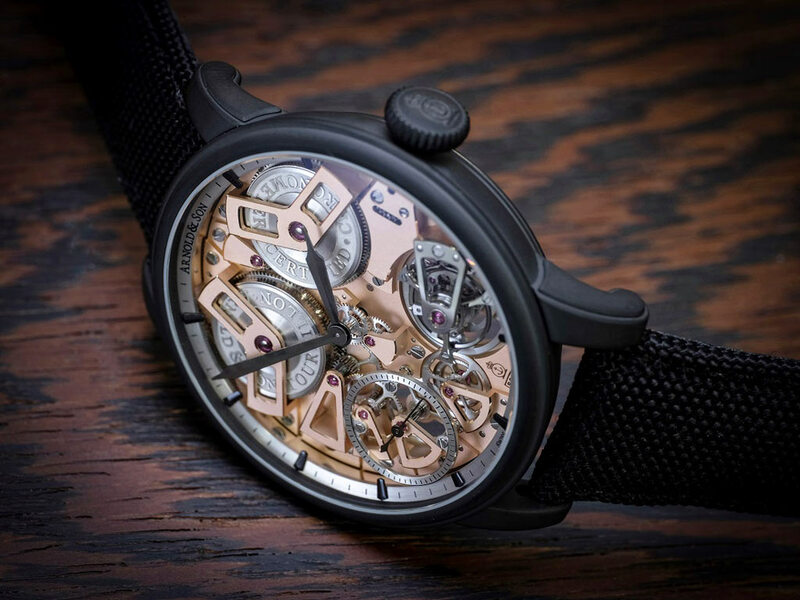 The same kind of opening is made below the small seconds display, adding to the symmetry of the Tourbillon Chronometer No.36. 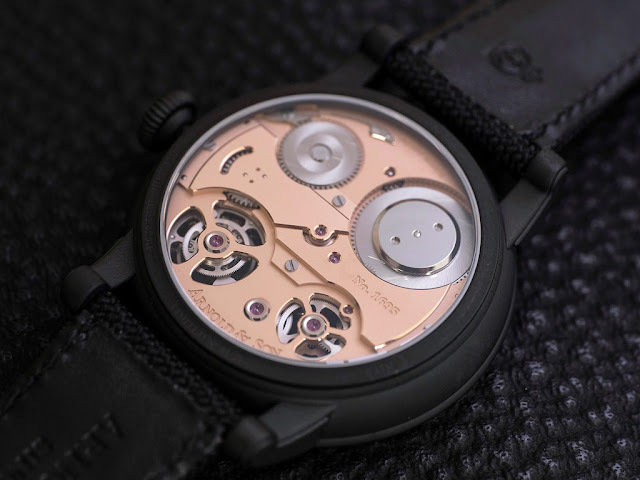 The in-house conceived and manufactured A&S8600 calibre features a smooth sand-blasted main plate and bridges with chamfered and polished edges. The main plate and bridges are treated with a golden coating, echoing the aesthetics of the historical pocket watches made by John Arnold. 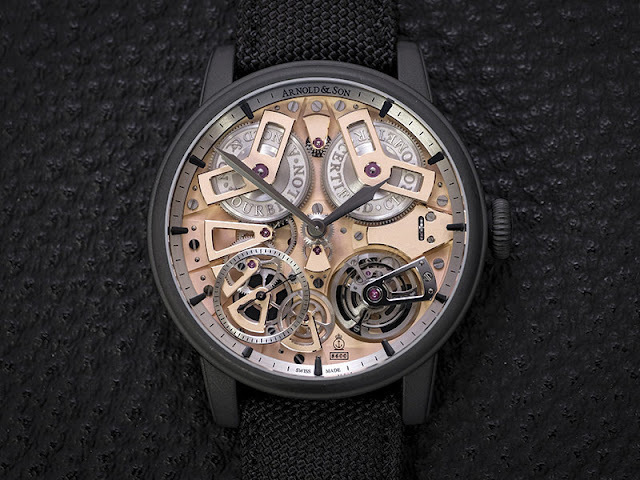 The main plate also is set with several mirror-polished 18k gold chatons, while the wheels in the gear train are embellished with circular satin finishing with chamfered and polished edges. The screws are beveled and feature with mirror-polished heads. The double barrels, embellished with laser-engraving decoration, provide a remarkable power reserve of 90 hours when fully wound. 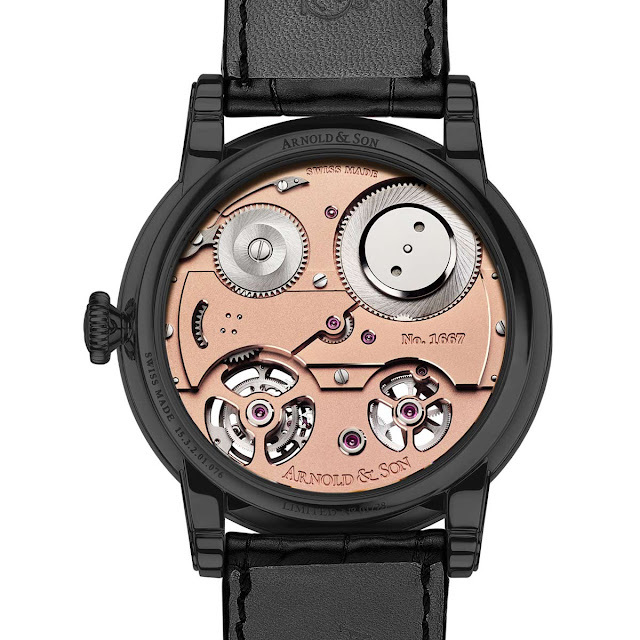 Beating at a frequency of 4 Hz (28,800 vph), the movement is COSC certified as a chronometer. 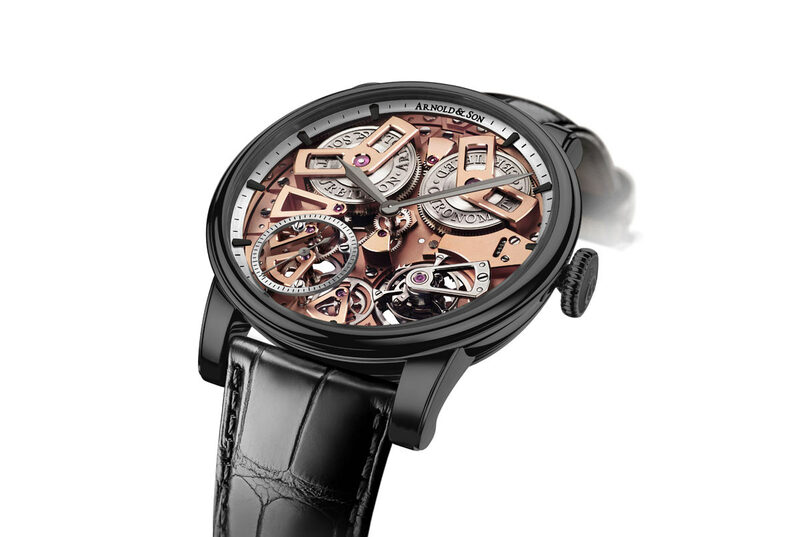 Arnold & Son Tourbillon Chronometer No.36 Gunmetal. The latest edition of the Tourbillon Chronometer No.36 from Arnold & Son is characterized by the rose gold tones of the movement and the dark grey gunmetal coating of the case. 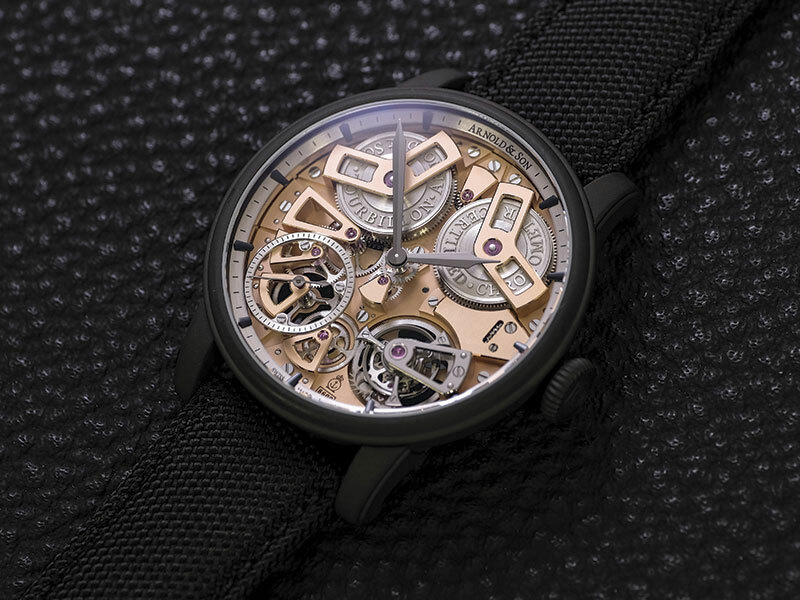 The Arnold & Son Tourbillon Chronometer No.36 Gunmetal (ref. 1ETAS.B01A.T113S) is limited to 28 examples and has a price of Swiss Francs 36,400.